The MMIA Employee Benefits program is a self-funded health benefit pool covering the employees, retirees and families of 85 Montana cities and towns. MMIA is a local government entity, not an insurance company. Participants' monthly premiums and the cities’ and towns’ contributions go into a pool that is used to pay for medical, prescription, dental, and vision claims. MMIA contracts with various vendors to process claims and offer cost-saving services to the pool and its participants. In the mid-1980s, government agencies were experiencing substantial rate increases or cancellations of their liability and workers compensation coverages. Seeing that a solution from private industry was not an option, the cities and towns of Montana came together to create their own solution, forming the MMIA in 1986. Decades later, the MMIA has successfully grown in scope, expertise, and stability for the benefit of our Montana cities and towns. In 2004, Montana’s cities and towns asked if MMIA could create a similar group-funded health coverage pool and the Employee Benefits program was born.  MMIA is governed by a 15-member board and is comprised of elected and appointed officials from member entities. The seven largest cities- Billings, Bozeman, Butte-Silver Bow County, Great Falls, Helena, Missoula and Kalispell - have permanent seats on the Board. Another seven seats are occupied by individuals representing smaller communities, with populations less than 20,000, who are elected by the membership for rotating two-year terms and one at-large member that is elected by the board. No member city or town may have more than one representative on the Board. The Board governs each coverage program on an independent basis. The Employee Benefits (EB) Committee is made up of 13 members, including board members and other city/town representatives. The Employee Benefits program staff present status updates and any proposed changes to the EB Committee. The Committee then makes recommendation to the board for final decision-making.